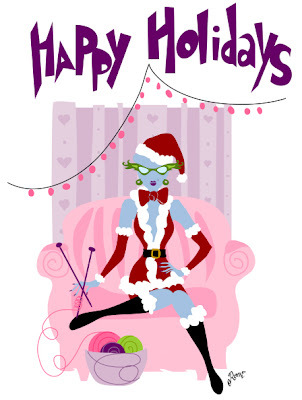 Wishing you all the very best holiday season ever! And the very best of holiday wishes to you, too! Warmest wishes for a wonderful holiday season! happy holidays to you too! i finished some napkin rings today, i think that i need more practice in making them! Coolest pic I've seen yet! Merry Christmas! The greatest gift I received all of this year was the one of your friendship! Mush love to you!!! Merry! Merry! to your gang from ours! I love the picture! I hope you had happy holidays too!! Knit On!